A big problem with Google Docs (shared, incidentally, with Microsoft Word and even LibreOffice/CollaboraOffice) is that it's almost impossible to convert a collaboratively created document into a form suitable for publishing on the web. Yes, you can go to File->Download as...->Web Page (html, zipped)... but that results in an HTML document that is chock full of badness. Google Docs (and the other word processing packages) all assume you want your document to render on the web exactly like it does in their app. In my experience, is impossible to get clean, semantic HTML out of any word processing platform without all the nasty in-line styling and formatting kruft that these applications assume you want. tries to control the content that is copied and pasted into the CMS' editing interface, which is entirely counter-productive. All you really want is very simple, semantically marked-up content, without any styling whatsoever. The styling for CMS content is typically applied by the theme, rather than the editor. The purpose behind that is to ensure that all the site's content is consistent in its look-and-feel and the whole lot can be changed with simple tweaks to that theme. Problem is, most people neither understand that nor care - in fact, few people will even know what I mean by "semantically marked-up": simply put, it's the idea that the content is simply marked up to show what type of content it is, e.g. a title, a paragraph, a list, a table, something requiring emphasis (usually achieved by italics) or strong presentation (usually achieved by bold). 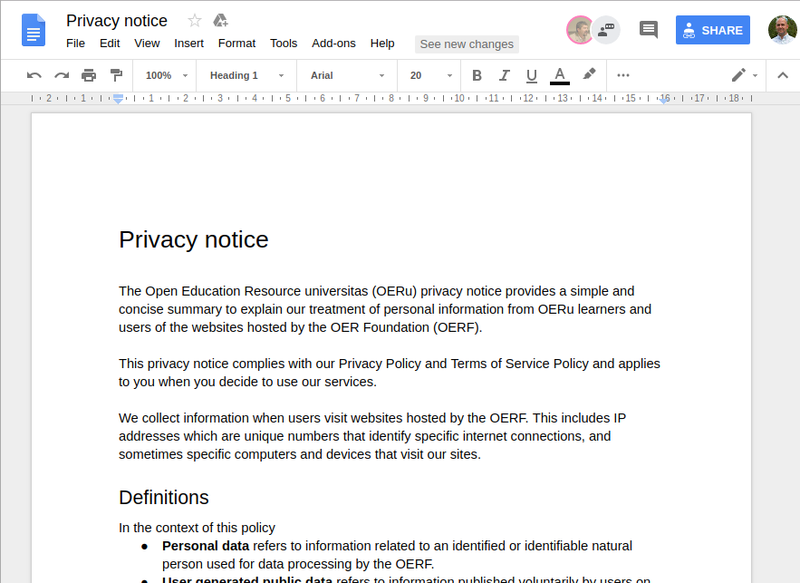 Screenshot of a Google Doc containing some text with basic formatting. As you can see, it's fairly impenetrable (it's not written for human's eyes :) ). It doesn't even use proper semantic tags to represent the content. Instead it uses "ad hoc" styling to achieve a superficial resemblance to what we want to see, and in doing so, it also generates huge amounts of totally awful mark-up. Luckily, after a lot of dives down rabbit holes, I have emerged with a free and open source software (FOSS) solution. It involves an incredible software tool called "Pandoc" that can be installed on any Windows, MacOS, or Linux computer. Because I use FOSS where ever possible, I'll describe how I achieved a solution on Linux. In addition to providing clean semantic HTML, preserving links and structure (including tables), Pandoc can be asked to build a "Table of Contents" for the HTML, too, based on titles (H1, H2, etc.) to the level desired. Which produces a semantically marked up version of the file PrivacyNotice-semantic.html, and, in this case, with a linked Table of Contents automatically created, using headings up to a depth of "2" (i.e. H1 and H2) as the headings. Note: the trailing "-" is important (it's a way of telling the script to take as input the output of the script described prior to the "pipe" character, "|")! What this Pandoc process does, is to convert the nasty HTML provided by the Google Doc "Web Page" export into a different (and very semantically structured) format called DocBook, which strips out all the unnecessary styling. We then convert it back to HTML, preserving the semantic structure, and removing the stuff we don't want. Pretty straightforward. And it takes less than a second to run. Note that the result is a "well formed" complete HTML document, so you can view it happily in your browser, e.g. type file:///path/to/your/PrivacyNotice.html file into your browser's location bar as a URL. If you want to see the final result of this, have a look at our new GDPR-aware Privacy Notice! Hope this saves someone a lot of frustration and unnecessary remedial mark-up editing!